Call Us Now For A No Obligation Quote! 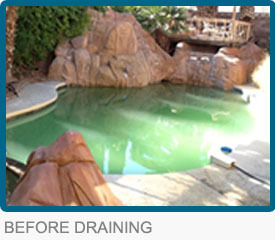 SoClean is experienced at turning swimming pools and spas from GREEN to CLEAN! We offer service in all of Clark County, including: Las Vegas, North Las Vegas, Summerlin, Henderson & Enterprise. 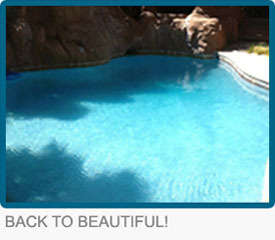 We ask this so we can establish the best approach to return your pool back to a clean and sparkling state. DARK GREEN pool with algae clinging to the walls may require an acid wash or a chlorine bath. A green pool can also attract mosquitos, which may lead to a citation from the city. It’s important to identify the best approach with the “lightest touch,” because it can be uncomfortable to swim in a pool that looks clean, but is filled with chemicals that irritate the eyes and skin. To provide the best solution, we always visit your property and inspect your pool – and then we identify the best approach to ensure your pool is beautiful and healthy again. We are a locally owned, family run business that is dedicated to offering the highest standards in service, maintenance and repair to our current and future customers. We are fully licensed with the Nevada State Contractors Board and carry full insurance and bonds. 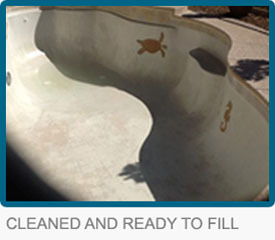 We look forward to hearing from you and helping you with all of your pool needs. 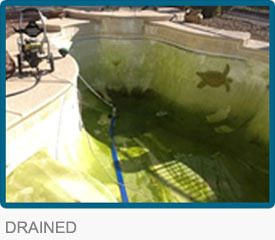 SoClean has technicians out in the field servicing pools and spas in: Las Vegas, North Las Vegas, Henderson, Summerlin and Enterprise. How Green Is Your Pool? GIVE US A CALL FOR AN ESTIMATE TODAY! © SoClean LV | (702) 302-7808 | Site by Aliante Web Design | Review us on Google!